To borrow from Mark Twain, reports of the death of golf have been greatly exaggerated—at least in Fairfax County, Va. It may seem counterintuitive, but while interest in golf has been waning across the nation, the Fairfax County Park Authority (FCPA) has been investing in its seven golf courses and adding new programs. As a result, it is now reaping the rewards of that initiative with increasing revenue from growing numbers of golfers. For example, FootGolf was added in July 2015 to draw people of all ages onto the Pinecrest Golf Course. Programs such as Starting New at Golf and The First Tee have been encouraging children to give golf a try. Special events for women have been designed to attract more female golfers while active-duty and veteran military personnel benefit from special pricing on Military Mondays. Last year, the park authority took its commitment to golf to a new level with a major renovation at the Burke Lake Golf Center, which includes a par-three course adjacent to the county’s 888-acre Burke Lake Park. 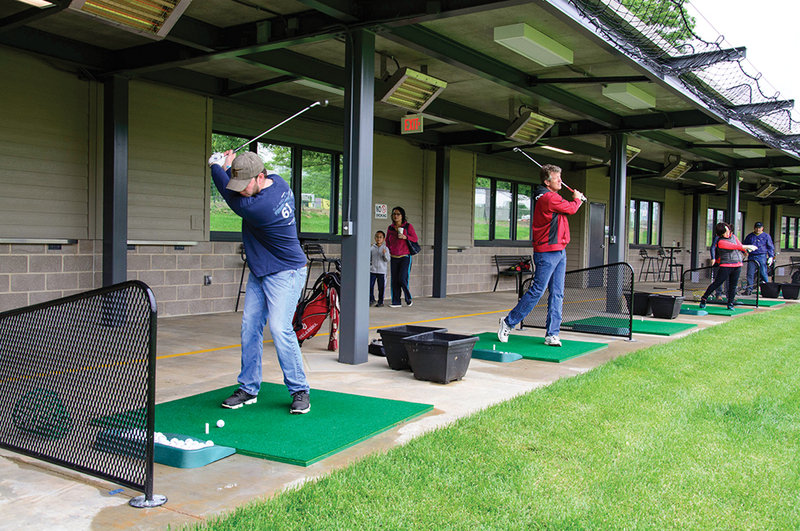 In May, the ribbon was cut on a major renovation to the driving range. In December, officials gathered once again to officially open the new clubhouse. The $7,160,000 project was financed by voter-approved park bonds, and taxpayers are seeing a great return on their investment. Revenues from April to December of 2017 were up nearly a quarter-million dollars over the same period in 2016. When the old golf complex opened at Burke Lake in 1970, Gunsmoke was still entertaining TV audiences and the ADA was something associated with dentists. By the 2010s, both the driving range and clubhouse had seen better days. These time-worn facilities were no longer meeting the demands of golfers and failed to meet requirements of the Americans with Disabilities Act—the other ADA. In 2011, the park authority commissioned a study of its golf facilities by National Golf Foundation Consulting (NGF). The consultants pointed out that “Burke Lake is a unique golf facility in that so much of the total revenue and revenue growth potential comes from the driving-range operation.” The report determined that improvements at the facility should focus on the driving range, enhanced programming, and promotion of the range and its features. Plans were made for a major renovation of the driving range. Since weather was cited as a significant factor impacting use of the old range, the new double-decker range’s 64 lighted stations include 24 that are covered and heated. There’s also an area that can be reserved for private functions, such as birthday parties and other group activities, to draw both golfers and non-golfers to the site. To attract new golfers and enhance the play of seasoned players, the facility included new Burke Lake Golf Academy classes and camps, too. The NGF report took aim at the clubhouse as well, citing its poor physical condition, lack of space, and lack of ADA compliance. At 4,200 square feet, today’s clubhouse is more than double the size of the original. It features a 600-square-foot patio overlooking the golf course and offers updated food and beverage options, an updated indoor dining area, a modernized pro shop, and Wi-Fi access, with ADA-accessibility mandates. Though golf has slipped from the high pinnacle it once held in the world of sports, the FCPA’s research showed it was still popular in Fairfax County. In the agency’s 2015 Great Parks, Great Communities Needs Assessment, people surveyed were asked to rank the four outdoor or indoor park facilities most important to their household from a list of 16. Respondents ranked golf courses and practice facilities among the top seven. If you build it, they will come—if you let them know about it. That was the theory behind the multi-faceted marketing plan that previewed the renovation project and kept the public informed about its process. The campaign budget was tight with just $20,000 to spend and a large, diverse audience to reach, including avid golfers, those working on golf fundamentals, and potential neophytes just looking for some golf fun. Postcards were mailed to 50,000 local residents, targeted by zip code. On-site signs and banners were hung at the golf course and nearby South Run RECenter. 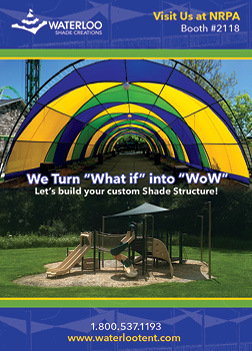 Print ads ran in the park authority’s Parktakes magazine, which reaches nearly 200,000 customers. Postcards and flyers were placed in libraries, senior centers, and government buildings. There were even signs on buses. Staff stood at information tables at the DC Area Golf Expo, Summer Camp Expo, Springfest community celebration, Healthy Strides 5k Race, Workhouse Arts Center Brewfest, and George Mason Day. Posts were placed on Twitter and Facebook, and press releases were distributed. Email newsletters reached 180,000 park and golf customers, and there were electronic ads at county recreation centers. 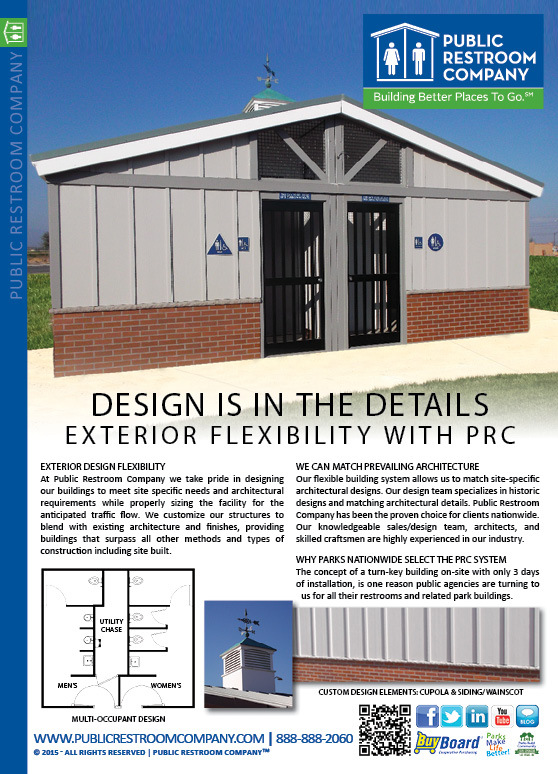 The renovation project received coverage in the Visit Fairfax Bureau of Tourism newsletter, Golf Range Magazine, and local newspapers. There was video coverage on Cable Channel 16, a local NBC-TV affiliate, and in ads on The Golf Channel. People definitely took notice. Within a matter of weeks, the Burke Lake Golf home page generated 43,904 page views—a 25 percent increase from the previous year. Financially, the new range and clubhouse have scored a hole in one. Comparing revenues from April to December of 2016 to the same time period in 2017, there was lots of green around the greens. Range revenue was up $167,387. Food and beverage sales climbed by $13,000. Burke Lake took in an additional $27,000 in lessons, $28,000 in merchandise, and $7,000 in pass sales. Overall revenue during that time period was up $245,915, though the range was closed for a short while for construction in 2016. It is projected that the driving range and clubhouse renovations will result in an annual increase in revenue of approximately $600,000. The golf consultants who worked with the park authority stressed that Burke Lake’s par-three golf course was a great spot for beginners and those who want to whip through 18 holes in three hours or less. However, the consultants warned that players with more experience and lower handicaps were likely to leave the facility for some of the county’s more challenging courses. So, NGF told the park authority it should focus on attracting beginning golfers to Burke Lake with a plan to refresh the supply of newcomers to the sport. Burke Lake is doing that by offering new instructional programs and advertising the range as a great place for a social event—children’s party, group outing, or company gathering. 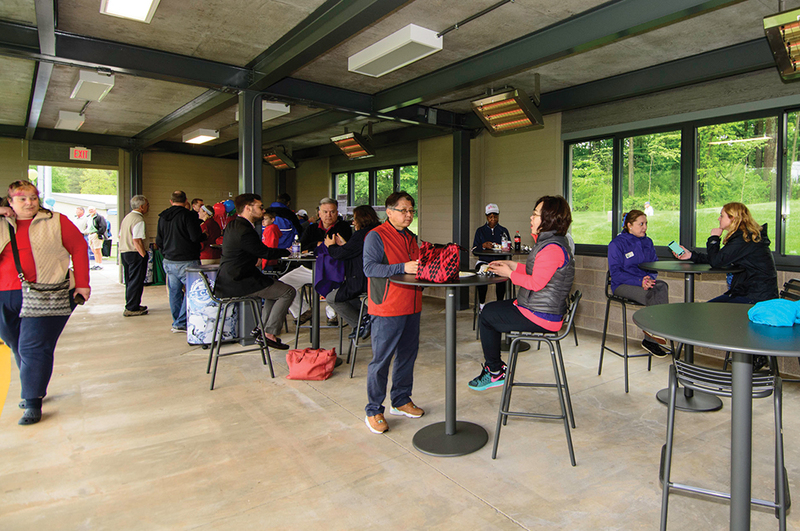 The new clubhouse, with more diverse food and beverage options, also provides a communal spot for folks who may or may not already be golfers. It’s working hard to smash the image of golf as a dying sport or something for the elite. Burke Lake is now tempting young people with a fun and affordable reason to put down their smartphones and pick up a golf club. One last tip when contemplating a major renovation project is to carefully consider the project’s timing. If at all possible, do the construction in the “off season.” Burke Lake closed its old range in October as the weather was getting colder and opened the new range in April as spring drew fair-weather golfers out of hibernation. While the driving range was closed, the revenue stream continued from the clubhouse and the golf course itself. Now, thanks to the new heated and covered range, every season is golf season. Carol Ochs, FCPA, is the Public Information Office for the Fairfax County Park Authority in Virginia. Reach her at (703) 324-8761, or Carol.Ochs@fairfaxcounty.gov.